Now I am in love :) It is a very sensitive and emotional image. 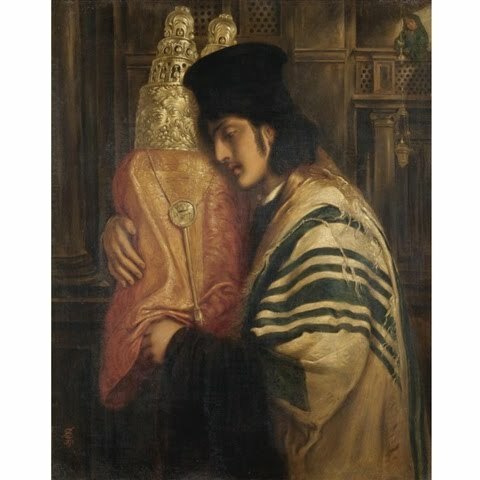 I wonder how often Simeon Solomon was in synagogue during his adult life. He loved booze, drugs, women, men etc etc, all behaviours that suggested formal religious requirements did not impinge on his life. Artists were complex characters, as ever!! !